Here's more good news for gas prices: Iran is planning a big return to world oil markets. Iran has been shut out of Western oil markets for years due to sanctions, but those restrictions will be lifted if Congress backs a nuclear deal struck in July. Tehran is wasting no time in planning its comeback, and is aiming to ramp up production faster than many expect despite a supply glut that is killing prices. "Can we wait and not produce after lifting the sanctions? 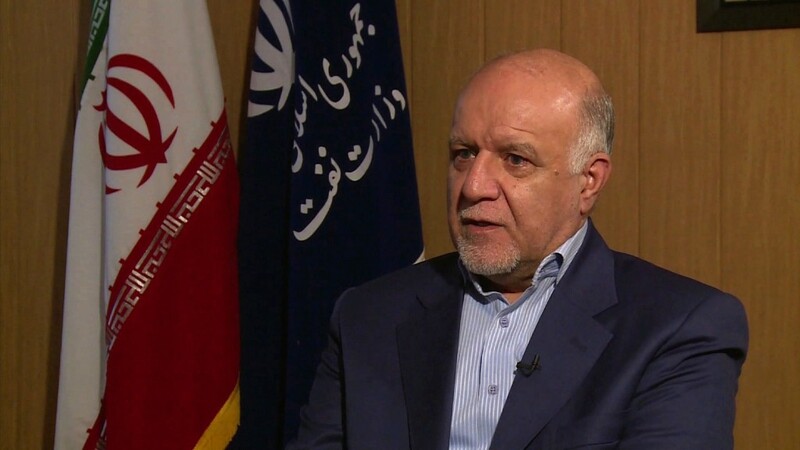 Who can accept it in Iran," oil minister Bijan Zanganeh told CNN in an exclusive interview on Tuesday. "Do you believe that ... our country will accept not to produce, to secure the market for others? It's not fair." Iran has the fourth biggest oil reserves in the world and is pumping about 2.8 million barrels a day, according to experts. Analysts expect the OPEC producer to add between 600,000 and one million barrels to output once sanctions are lifted, but Zanganeh is much more bullish. He's aiming for an increase of close to 1.5 million barrels by the end of 2016, taking daily production to 4.2 million. "Around the end of next year we will be close to this figure," he said. Oil prices have been swinging wildly recently, slumping to new six-year lows last week before surging nearly 30% in three days. They were falling again Tuesday. Uncertainty about the impact of China's slowdown and the next moves in a battle for market share between OPEC and U.S. producers have been blamed for the volatility. Some OPEC members have called for an emergency meeting to review the cartel's November 2014 decision to keep pumping at any cost, but Saudi Arabia shows no signs of blinking. Zanganeh said the Saudi strategy was not working, and he indicated Iran was pressing for a reassessment. "After one year the reaction of the market and shale oil producers ... shows us it has no important effect. And I think we are going to the point ... to decide how to manage the market." He said OPEC should be targeting a price of $70 to $80 a barrel. U.S. crude futures are currently trading around $46.